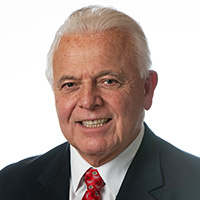 Senator Steve Oroho (R-24), a member of both the Senate Budget and Appropriations and Economic Growth Committees, says New Jersey taxpayers are the beneficiaries under Governor Christie’s budget plan introduced today. Click here to view video of Senator Oroho responding to Governor Christie’s budget address. Legislation authored by Senators Steven Oroho (R- Sussesx/Warren/Morris) and Anthony Bucco (R- Morris/Somerset) providing tax credits to businesses employing members of the New Jersey National Guard or reservists in the United States Armed Forces has been cleared by the Senate Military and Veterans Affairs Committee. The bill, S-234, gives employers a credit against the New Jersey Gross Income Tax and/or Corporation Business Tax of 20% of an employee’s salary, not to exceed $2,000 per worker, when an employee is called to active duty. “Since taking office two years ago, Governor Christie has worked with the Legislature to advance an agenda that works for New Jersey and its residents. As a result of the new fiscal and tax discipline that we have brought to Trenton, 60,000 new private sector jobs have been created in the Garden State since Governor Christie took office, and skyrocketing property taxes are finally being brought under control. Responding to a Sunday, November 20, 2011 editorial by Star-Ledger columnist Tom Moran, state Senator Steve Oroho (R- Sussex) said today that New Jersey’s reciprocal income tax agreement with the Commonwealth of Pennsylvania demonstrates that high state taxes encourage taxpayers and revenue to leave or stay away from New Jersey. Senator Steve Oroho (R-24) was chosen by the New Jersey Business and Industry Association (NJBIA) to receive its “Paul L. Troast Public Service Award.” The NJBIA presents the Troast Award annually to a public servant who has made an outstanding contribution to the State of New Jersey and its business community. 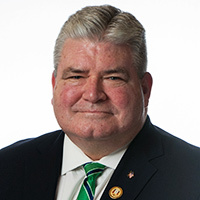 Legislation sponsored by Senator Steve Oroho (R-24) that would make the New Jersey Business Action Center a permanent component of the Department of State was passed by the Senate Budget and Appropriations Committee today. Senator Steve Oroho, Assemblywoman Alison Littell McHose and Assemblyman Gary Chiusano, R-24, announced today, they were recognized as “Taxpayer Champions” by the New Jersey Taxpayer Alliance. Two bills sponsored by Senator Steve Oroho (R-24) that strengthen New Jersey’s commitment to its military veterans passed the Senate today. State Senator Steve Oroho, Assemblywoman Alison Littell McHose and Assemblyman Gary Chiusano, all R-24, said New Jersey’s veterans received welcome news on Thursday with the announcement by Governor Christie that he has approved $195,000 to be used by the New Jersey Department of Labor and Workforce Development in partnership with the New Jersey Building and Construction Trades Council’s Helmets to Hardhats (H2H) program. The New Jersey H2H program helps military personnel making the changeover from active duty to the civilian work force. The program also includes National Guard and reserve members who have civilian jobs but are looking for better employment opportunities.